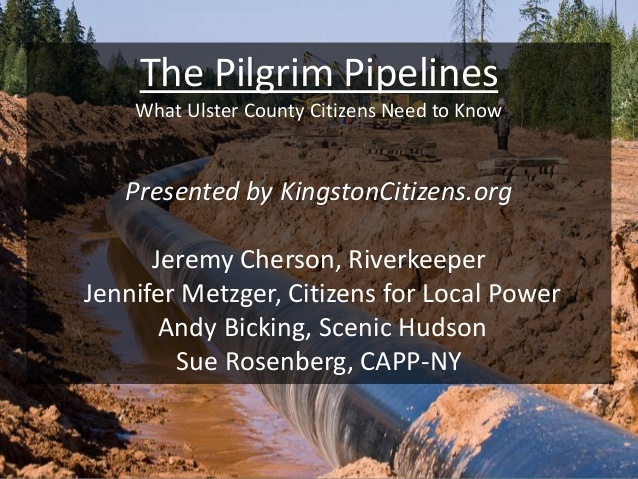 Kingston City Hall was jam-packed with over 400 people attending “The Proposed Pilgrim Pipelines: What Ulster County Citizens Need to Know,” hosted by KingstonCitizens.org and sponsored by CLP and other organizations working on this issue. Another 1,400 people live-streamed the forum. You can access complete materials, including videos of the event, here.